Following a whole lot of props for Unitxt and Xerrox Vol. 1, electronic producer extraordinaire Carsten Nicolai is set to release his new Alva Noto effort later this month. In fact, the latest instalment in Nicolai's ongoing Xerrox series, Xerrox Vol. 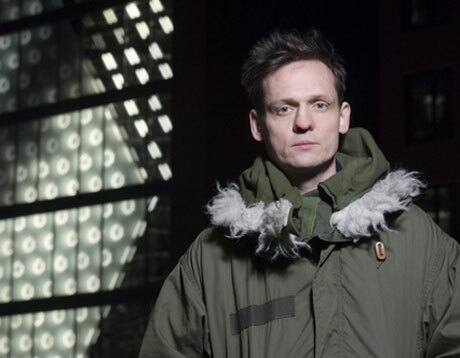 2, is just around the corner, with his own Raster-Noton imprint due to release the full-length January 26. According to Raster-Noton, while 2007's Xerrox Vol. 1 was concerned with the "old world" and firmly rooted in the classical tradition, Vol. 2 is looking to the "new world" and gathers up samples from Alva Noto's recent U.S. tour. This means you can expect to hear samples from a variety of other artists this time around, such as avant-garde film scorer Michael Nyman, Sunn O)))'s Stephen O'Malley and from regular Nicolai collaborator Ryuichi Sakamoto. And trust us, Xerrox Vol. 2 stands as some of Nicolai's top Alva Noto work, easily reaching all the heights of his other full-lengths and then some - not to mention gives Fennesz's recent Black Sea a good run for its money. Alva Noto + Ryuichi Sakamoto "Moon"